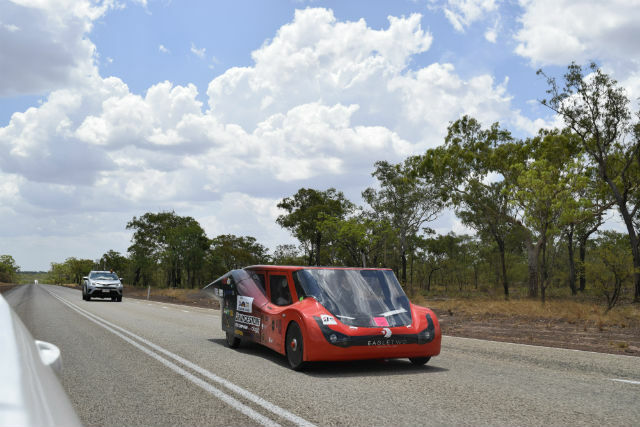 For the second time, Lodz Solar Team has participated in a race of solar-powered electric vehicles in Australia. 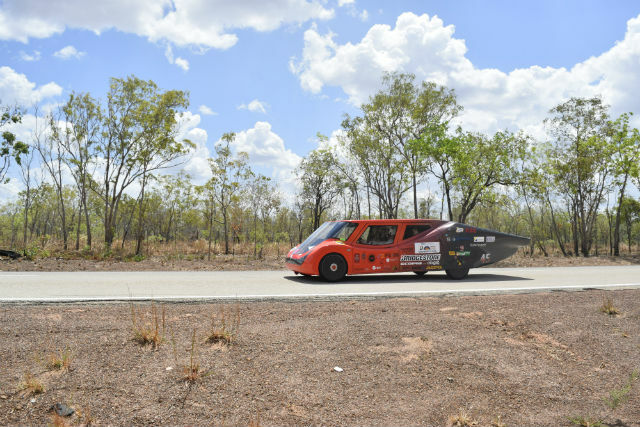 On 8 October, forty teams representing the best universities from around the world competed in the Bridgestone World Solar Challenge 2017. 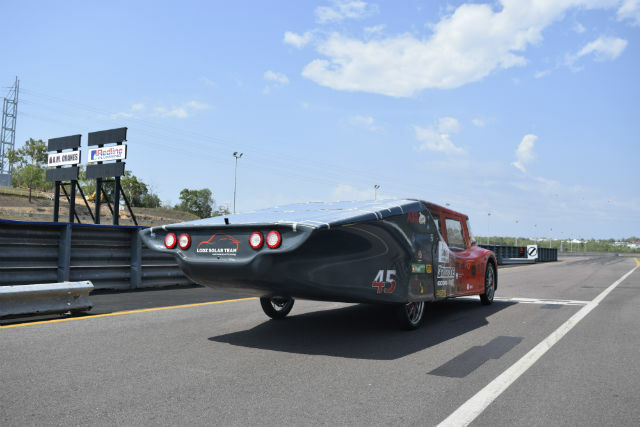 The contestants were divided into 3 categories: challenger (race vehicles), cruiser (urban vehicles), and adventure (open category for all solar-powered vehicles). 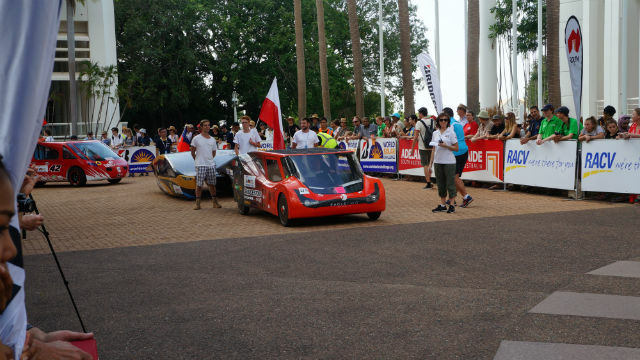 Lodz Solar Team participated in the cruise category. 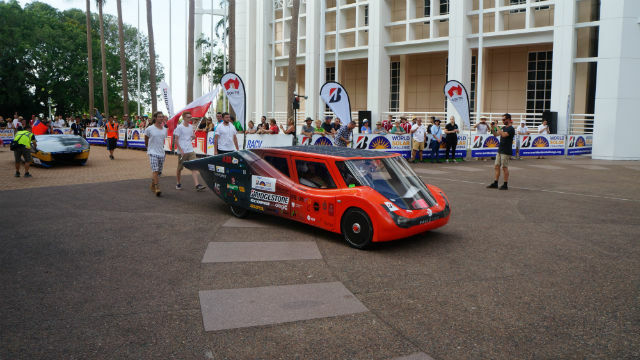 This time, the students from Lodz University of Technology brought a 5-person car and drove a distance of 3021 km across the continent. 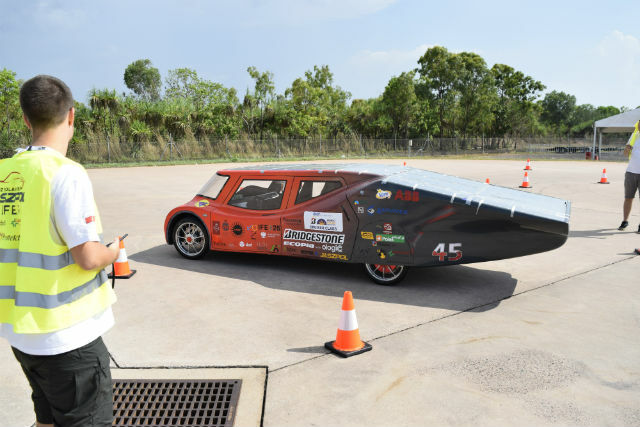 Their car – Eagle Two – was also tested for mounting a child safety seat, parallel parking, and luggage capacity – it was even possible to fit a bike inside the car. The car was also graded for its aesthetic value. It got 5th place in that category. 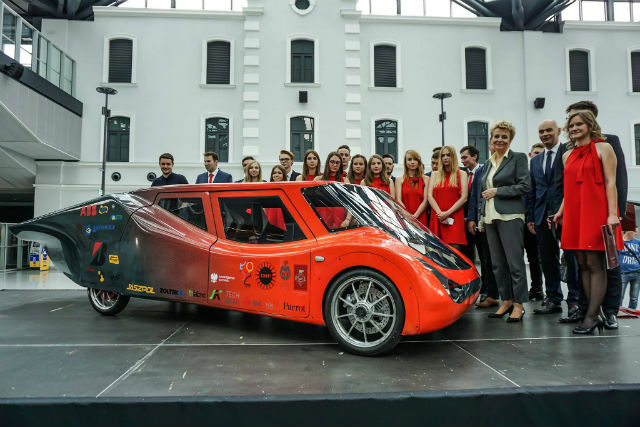 Lodz Solar Team has existed for 3 years as a part of the Automotive Enthusiasts' Student Science Club of the Lodz University of Science Institute of Fluid-Flow Machinery. 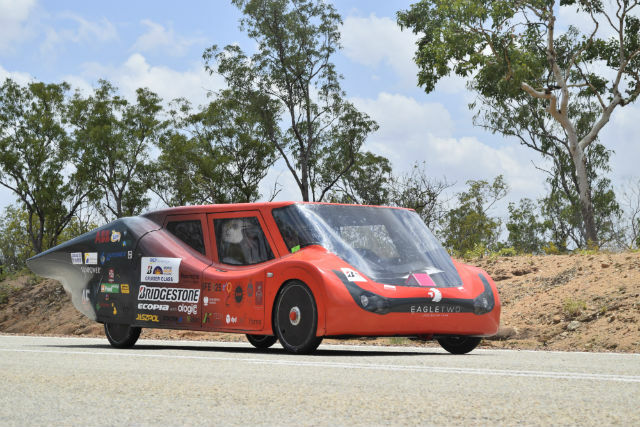 The team's purpose is building solar-powered vehicles, and they designed their first car – Eagle One – in 2015. This year, they used the next model: Eagle Two, with a new body and interesting interior. Eagle Two was developed as a result of collaboration with students of the Fine Arts Academy in Łódź. Its design is based on two brushless direct current (BLDC) motors, with total power of 10 kW, and 5 m2 of photovoltaic panels. 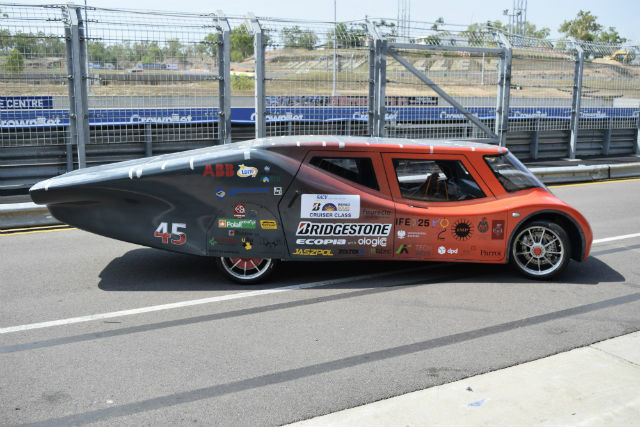 This urban car can reach speeds of up to 140 km/h. Congratulations to Lodz Solar Team!